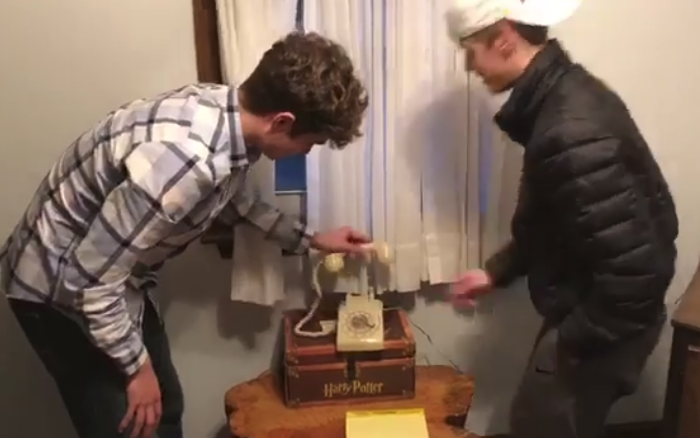 Parents Challenge Teens To Use Rotary Phone & It’s 4 Minutes Of Hilarity. 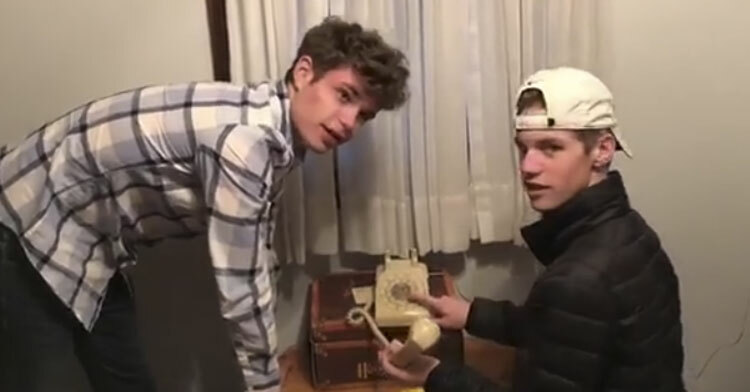 Here’s a riddle for you: how long does it take two 17-year-olds to dial a 10-digit phone number on a rotary phone? Much like the famous “how many licks does it take to get to the center of a tootsie pop” question – the world may never know! 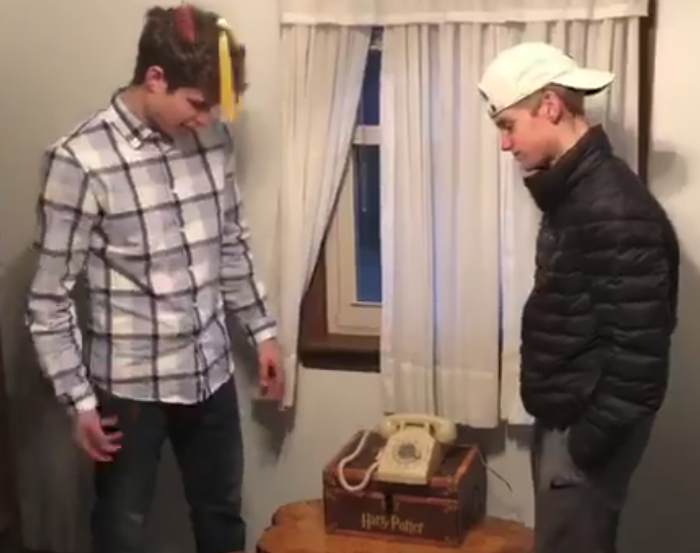 Recently, a (now viral) video was shared on Facebook which featured two teenagers trying desperately to dial a simple phone number on a rotary phone. The challenge: complete the mission in under four minutes. 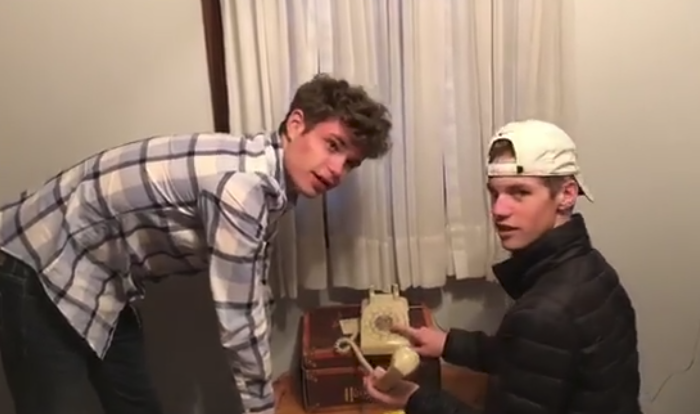 In the (hilarious) video, the two young men are presented with a classic rotary phone – a far cry from the smartphones they’ve grown up using. The task is simple: figure out how to dial the number. The guys seem up for the challenge and immediately start turning the dial around but aren’t entirely sure how to actually dial each number. They never even pick up the receiver – and even pick it up and hang it up each time they think they’ve made a mistake so they can “start over”. As the boys work together to solve this seemingly unsolvable puzzle, their parents can be heard laughing at them (in an encouraging way). At one point, the mom gives them a hint to pick up the phone and listen. When asked what they hear, one of the guys confusingly imitates the sound of a dial tone. As the boys get frustrated, the parents encourage them to keep trying and assure them that it takes “everyone” this long to figure it out. Finally, with only a few seconds left on the clock, the boys figure out how to correctly dial each number – but quickly realize just how long the mission will take. Frustrated, one hangs up and walks away saying “we’re done” because there’s only “five seconds” to do it, and it’s not enough time. So, the riddle remains to be solved. 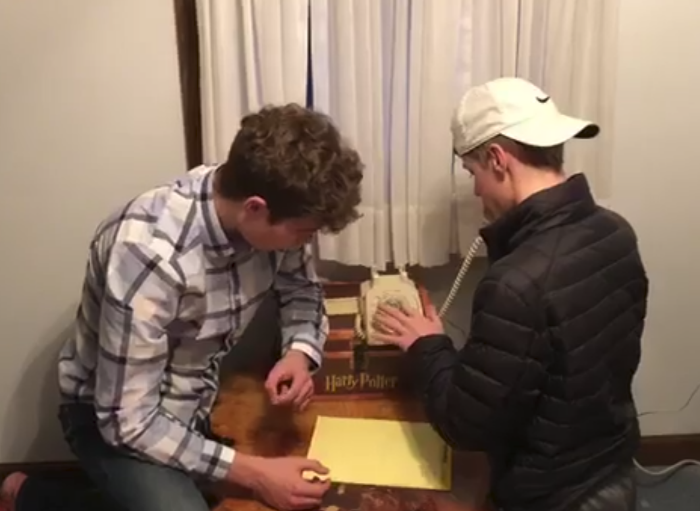 We have a feeling these boys appreciate their smartphones a little more now than they did before this entertaining exercise. 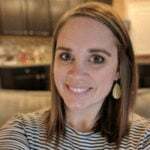 Watch the hilarious video below – and be sure to share with your friends (young and old) who could use a good laugh at “kids these days”.